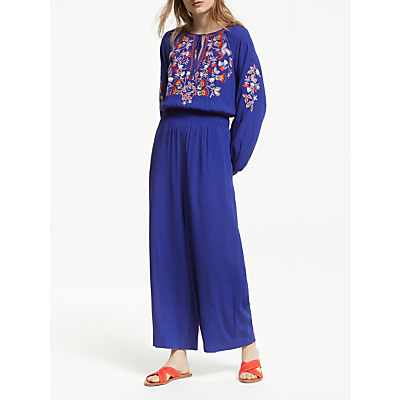 This embroidered Natalie jumpsuit from Boden will come out of your suitcase in wearable shape thanks to the soft, lightweight crinkled fabric. The intricate floral embellishment, wide-leg design and blouson sleeves offer delicate femininity and playful style. Pair with lace-up sandals for sunset strolls on the beach and dinner on the terrace.